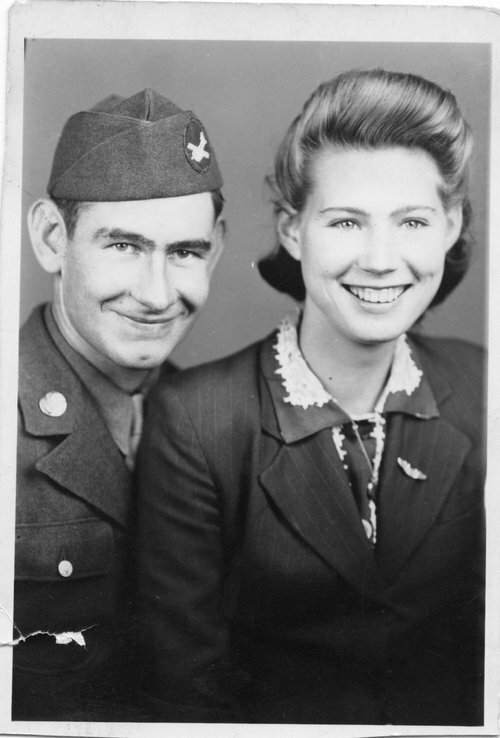 A photograph of Joseph and Iva Mae Leatherman, who lived in Treece, Kansas. Joseph served in the Army during World War II. The photograph was copied from an album loaned by the family.